FuManchu Joins Our Team of Reviewers! A longtime member of WiiWareWave who has had many different usernames including Dragoon and Straw Hat has now joined our team of reviewers! He is friendly and loves anime more than anything and is willing to get his hands dirty by reviewing any game, even the bad ones! He will be reviewing one to two games every week and his first two reviews will be the newest WiiWare title Deer Drive Legends, and the much hated WiiWare tragedy Fireplacing! Be sure to congratulate him on his promotion in our comments! Re: FuManchu Joins Our Team of Reviewers! Congratulations with becoming a reviewer for WiiWareWave! I look forward to working together with you! I guess we won't be seeing much of Luffy around here for a while. 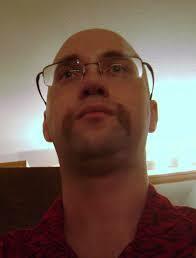 In any case, congratulations on your promotion Dra-...Str-...uh...FuManchu! Congratulations. I must admit I'm looking forward to what words of sorrow you'll post in your Fireplacing review. Congrats! The tag-line says it all, only a true hero would review bad games for a website to make sure the website has reviews for every game under the sun.